Functional medicine addresses the underlying causes of disease, using a systems-oriented approach and engaging both patient and practitioner in a therapeutic partnership. By shifting the traditional disease-centered focus of medical practice to a more patient-centered approach, functional medicine addresses the whole person, not just an isolated set of symptoms. Functional medicine practitioners spend time with their patients, listening to their histories and looking at the interactions among genetic, environmental, and lifestyle factors that can influence long-term health and complex, chronic disease. The DABCI philosophy is based on the model of natural, functional, and preventive medicine that focuses on putting out the fire (underlying cause of dis-ease) and NOT just the smoke (signs/symptoms) promoting a wellness plan that treats dysfunction before disease develops. 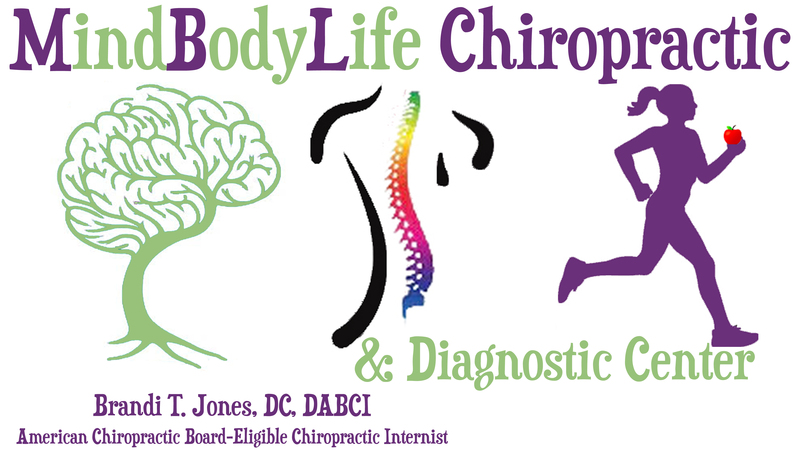 Dr. Jones is trained in a variety of techniques including Cleveland Diversified, Cox Flexion-Distraction, Leander, Sacro-Occipital Technique (SOT), Thompson, Gonstead, Activator and Graston. Dr. Jones may use one or several techniques on each patient depending on the patient’s individual needs and how well they respond to treatment. Dr. Jones is also a Fascial Movement Taping (FMT) Level 1 & 2 Certified RockTape provider. (Cleveland) Diversified is the most commonly used of chiropractic techniques and is the one probably most familiar to patients. The diversified adjustment entails a high-velocity, low-amplitude (HVLA) thrust delivered by hand and possibly with assistance from a table or block. Cox Flexion Distraction Technique (Cox Technic) is a gentle, non-force adjustment procedure to help the spine heal naturally. It is performed on a special table which has moving parts to effectively separate the different parts of the spine. The combination of the table and very gentle pressure utilizes flexion-distraction and decompression to increase disc height between vertebrae, decompress the spinal column and restore spinal joints to their proper alignment and range of motion. Movements are repetitive and slow, without any quick thrusts or pressure. Leander technique is a variation of flexion-distraction that uses a motorized table for adjusting the spine and stretching the muscles of the spine. With the assistance of the motorized table, spinal motion is induced passively. Sacro Occipital Technique (SOT) “Sacro” means “related to, or associated with, the sacrum (tailbone)” and “occiput” means “the back of the head.” Traditionally, SOT is a method of normalizing the relationship between the foundation of the spine and the top of the spine. This is a very gentle technique that is based on analysis of the spine performed in three positions – vertical, prone (lying face down), and supine (lying face up). The patient’s own body weight is used to correct the abnormalities in the body, normalizing the function of the brain and spinal cord, improving overall transmission of nerve impulses from the brain down the spine to the rest of the body. Thompson Technique is a specific chiropractic technique that uses mechanical and hands-on adjustments based on analyzing the length of the legs. This technique uses a ‘drop table’ for adjustment, where a gentle thrust is applied to the joints, which in turn, sets the drop piece into motion and targets the specific joint or tissue. Gonstead method is based on five criteria used for assessment of the spine: visualization, instrumentation, static palpation, motion palpation, and x-ray analysis. Visualization is a way to cross reference all other findings. The Gonstead practitioner is an expert in looking for the subtle changes in posture and movement that indicate any problems. Instrumentation involves use of a Nervoscope to detect uneven heat distribution throughout the spine, which indicates inflammation and nerve pressure. Static palpation is the process of palpating (feeling) the patient’s spine in a static (stationary) position. The practitioner is looking for edema (swelling), tenderness, or any abnormal textures or tightness in the muscles or other tissues in the back. Motion palpation is the process of palpating the spine while the patient is bending and moving at various angles. This allows the chiropractor to determine how well each spinal segment moves in different directions. X-ray analysis allows the practitioner to visualize the entire structure of the patient’s spine, which is evaluated for posture, joint and disc integrity, vertebral misalignments, any pathologies or fractures that may be present or contributing to the patient’s condition. These full-spine x-rays are taken in standing, weight-bearing position to fully substantiate the examination findings. Activator Method Chiropractic Technique is a type of manipulation using hand-held mechanical instrument called an Activator. It’s spring-loaded and provides a quick, low-force impulse on specific points determined by leg length and muscle analysis. Graston Technique is a form of manual therapy known as soft-tissue instrument-assisted mobilization. It is one of a number of manual therapy approaches that uses instruments with a specialized form of massage/scraping the skin gently. This technique enables physicians to effectively address scar tissue and fascial restrictions, as well as maintaining optimal range of motion through comprehensive training, resulting in improved patient outcomes. Fascial Movement Taping (FMT) is a form of kinesiology taping that is based on muscle movement assessment and therapy. It is based on the muscles of the body acting as a chain. FMT Basic (Level 1) focuses on applications for pain, posture, edema, scars and neurological symptoms while FMT Performance (Level 2) builds on these concepts, with an emphasis on myofascial pathways, movement therapy and performance enhancement.